Step 1: Click app icon on top status bar, click menu Check For Updates..., if you are using app downloaded from Mac App Store, you won't see this menu, please jump to step 3 to manually update app. Step 2: Click menu Install Update, and then wait for app to update and reopen automatically. 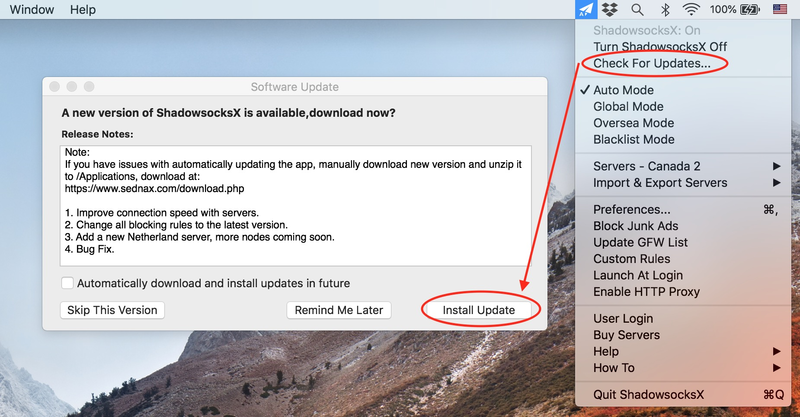 Step 3: If update fails, you can download and install it manually here: Manually Update.